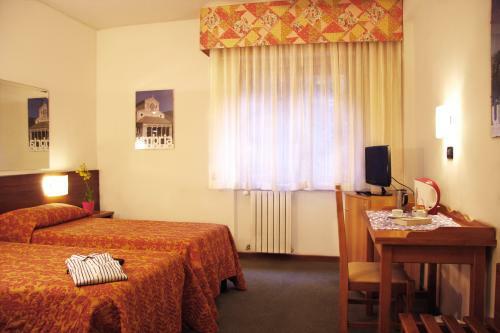 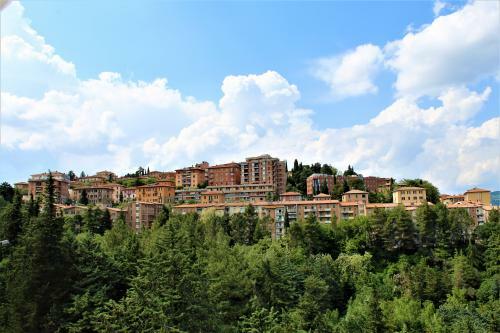 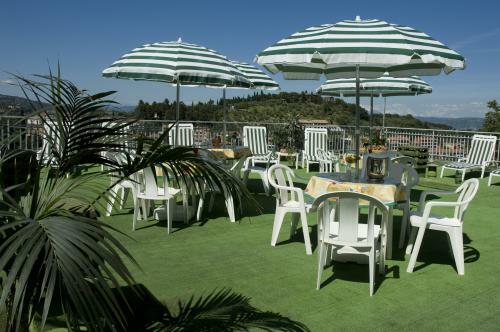 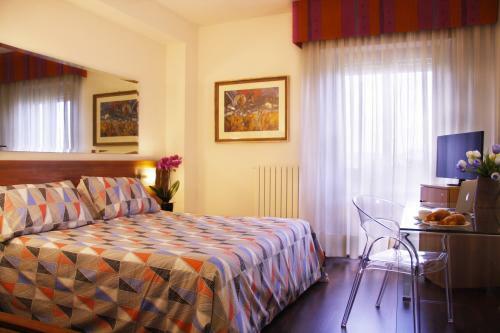 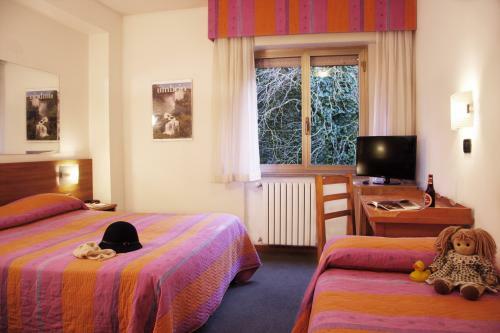 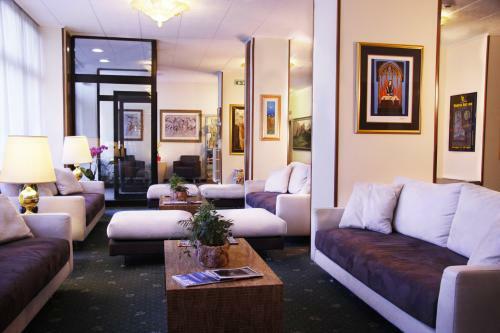 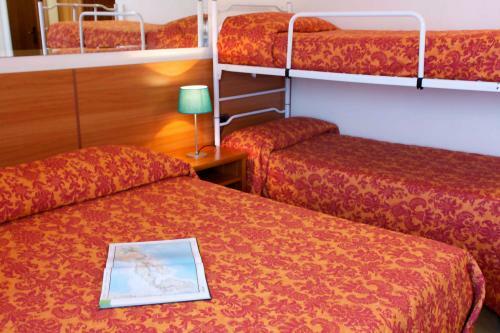 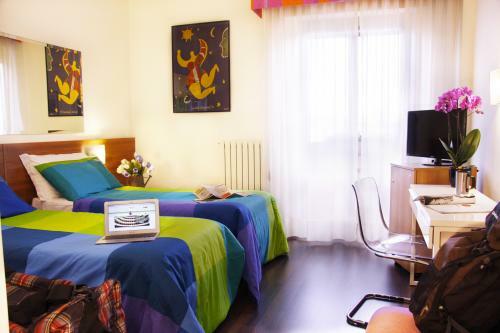 Hotel Ilgo is located in the city center of Perugia, in a quiet, green and panoramic area with private parking. 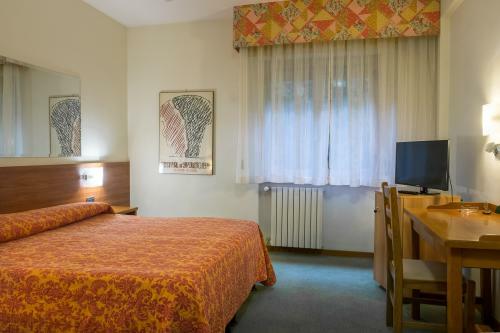 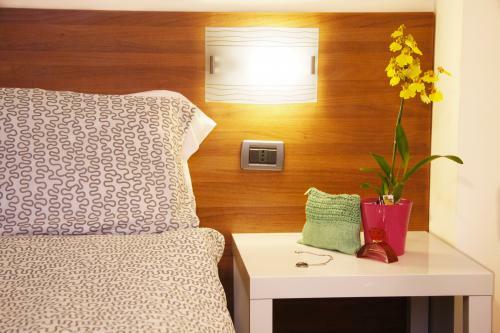 It is a few steps from Corso Vannucci and the main turistic locations of the city, in a perfect position to visit the other Umbrian cities as Assisi, Gubbio, Spoleto.The hotel has 80 rooms totally equipped with all comforts: air conditioning, TV SAT, LCD screen, minibar, safe, free Wi-fi.The restaurant of the Hotel is "I Girasoli Restaurant" and it serves Umbrian and Italian specialities. 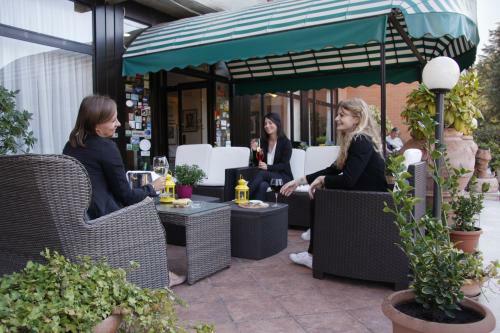 It has also a selection of great wines choosen by expert sommeliers. 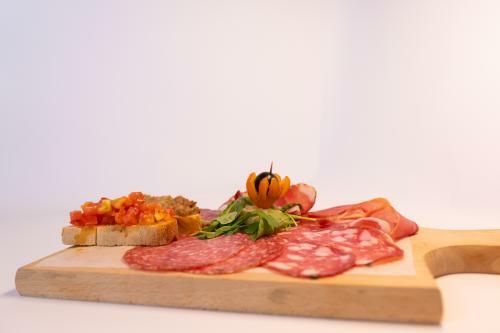 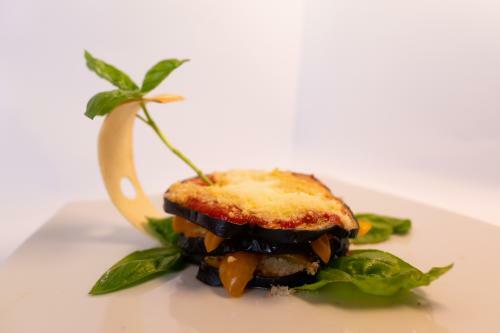 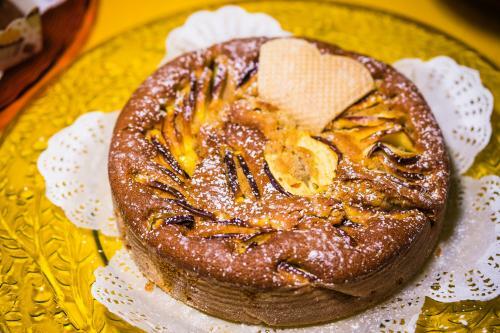 The cuisine proposes also gluten free dishes. 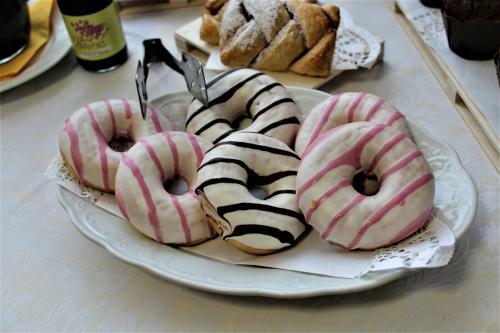 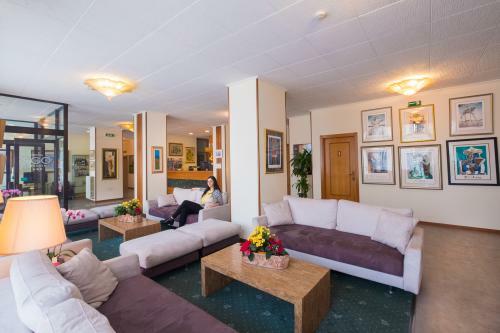 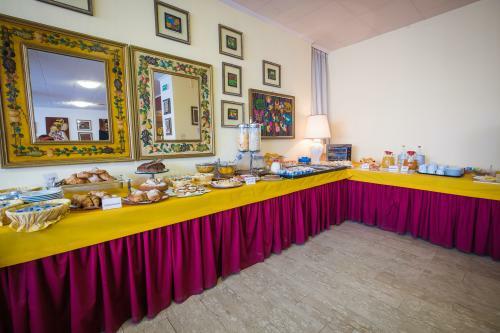 Every morning a various buffet breakfast will be ready for the guests, with many handmade Umbrian sweets.The hotel has some large common areas and a internet corner.During the hottest days, guests can enjoy the solarium with a wonderful view of the surrounding Umbrian hills. 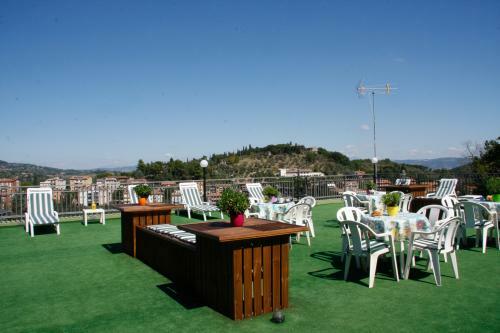 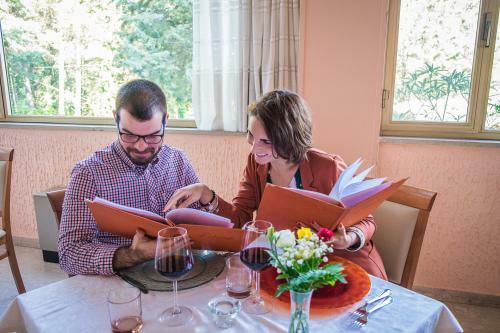 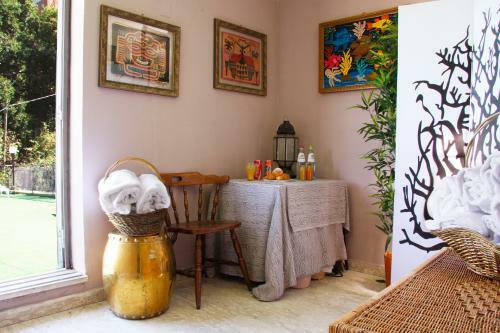 At your disposal many activities such as cooking classes, wine tastings, language lessons, bike riding etc. 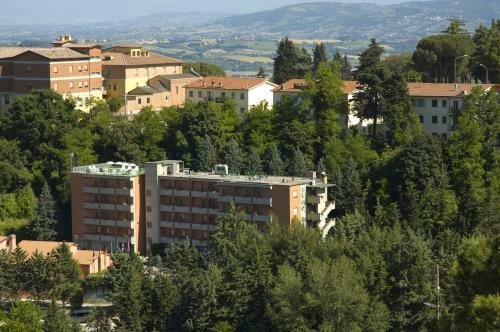 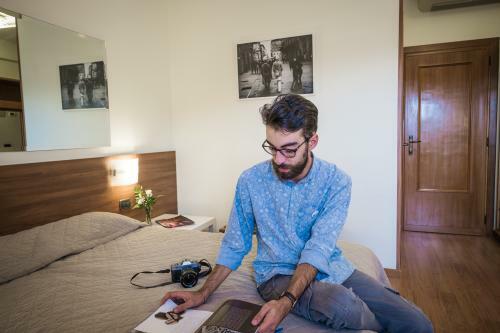 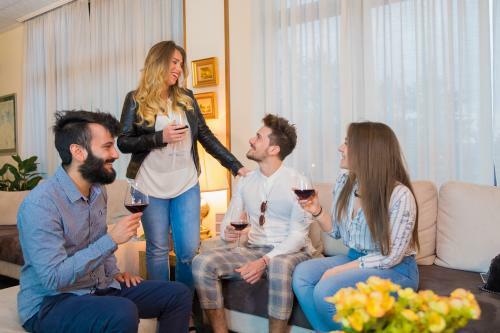 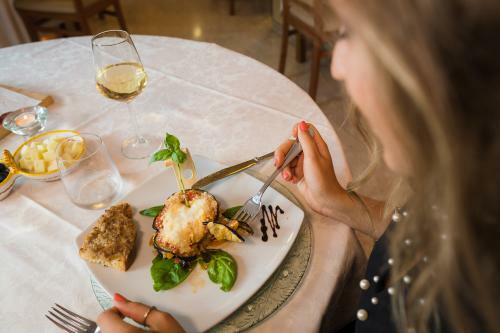 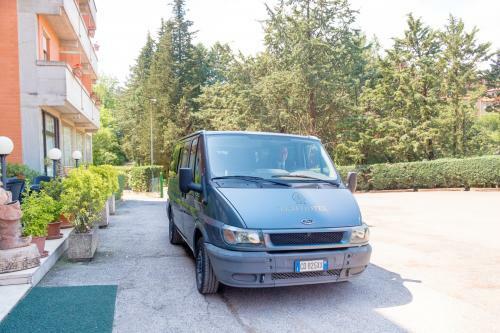 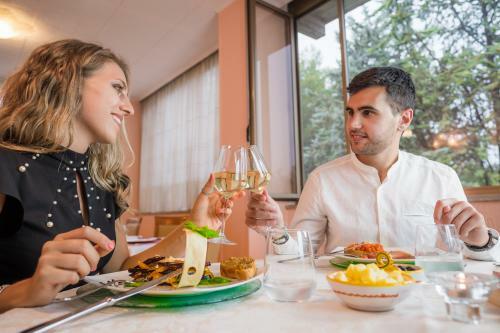 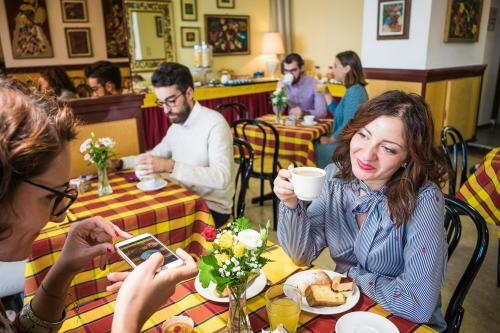 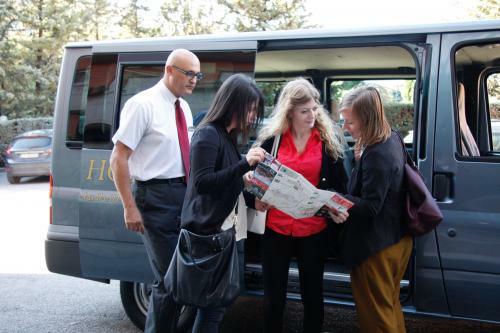 The hotel can help you also to organize your itinerary and to reserve guided tour to the Chocolate Factory of Perugia, to the Ceramic laboratories of Deruta, to the olive oil mills or wine cellars in Umbria.